While there have certainly been many innovations in propeller design over the last century, the fundamentals remain largely unchanged. The Wright Brothers developed the first truly efficient propeller blades when they rejected the idea – very common at the time – that an airplane propeller should be shaped like a screw. Instead, they envisioned a propeller designed like a twisted aircraft wing that effectively “pulled” the aircraft through the air by generating thrust. The concept of propeller thrust is best explained by Newton’s third law of motion. For every action, there is an equal and opposite reaction. So when a propeller twists and pulls air behind it, it will, at the same time, push the aircraft forward with an equal amount of force. The more air pulled behind the aircraft, the more the aircraft is pushed forward. 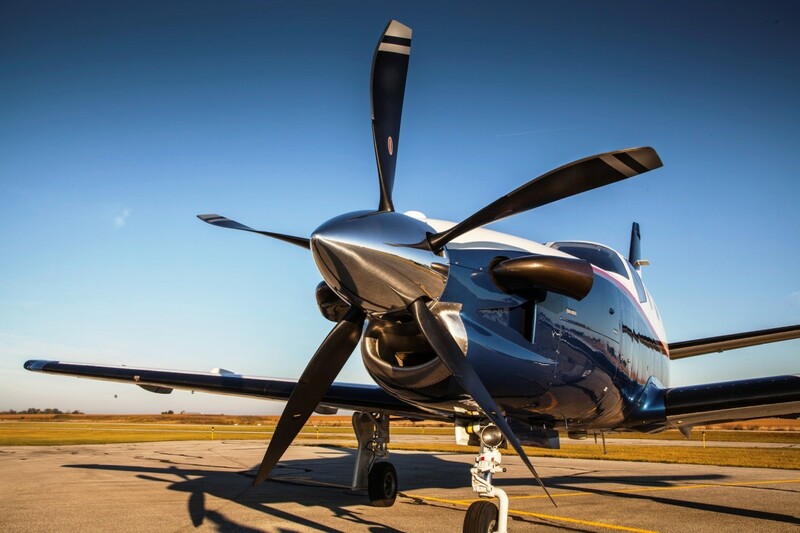 The reason propeller blades are twisted is so that they can cut or bite into the air instead of just pushing against it. Change the twist or pitch of the propeller and you can change the amount of air it pulls behind it to generate that push or thrust. These fundamentals of propeller design have changed little in the last century. Altering the pitch of the propeller, the materials they are made of, or adding more propeller blades enables gains in speed, climb rate, noise reduction, and efficiency, but the basic physics remain the same.